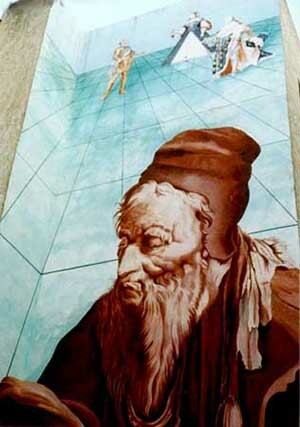 Nostradamus completed a total of 942 quatrains which he organized into Centuries - groups of 100 quatrains (one Century only had 42 quatrains). A quatrain is simply a poem with 4 lines. The rhymed quatrains of Nostradamus were written mainly in French with a bit of Italian, Greek, and Latin thrown in. He intentionally obscured the quatrains through the use of symbolism and metaphor, as well as by making changes to proper names by swapping, adding or removing letters. The obscuration is claimed to have been done to avoid his being tried as a magician.